The Plantronics S10 Telephone Headset System offers both a convertible, noise-canceling headset and amplifier to bring hands-free convenience to corded phones. The stylish GN 4150 headset-amplifier solution blends performance and value for the first-time headset user. Ideal for home offices, the GN 4150 maximizes the quality of your phone conversations and maximizes your productivity. 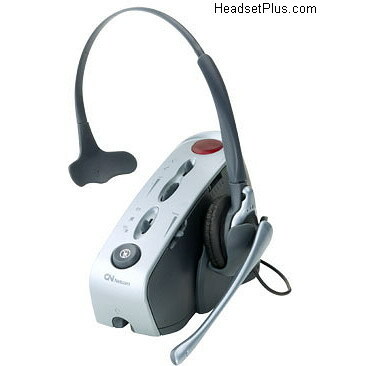 Headset/handset switch, rotary volume control, mute switch and built-in headset stand. 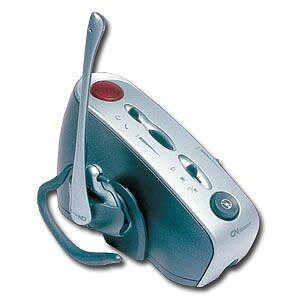 telephone/computer selector for two-way audio on your phone or computer. Tone control to adjust sound to your preferences. Amplifier can be mounted on your PC to reduce desktop clutter. 2.5 mm headset connection also fits cordless and cellular phones. **NOTE: Does not have quick disconnect cord. If you wish to have this feature, you must purchase our other headset styles and corresponding amplifiers.